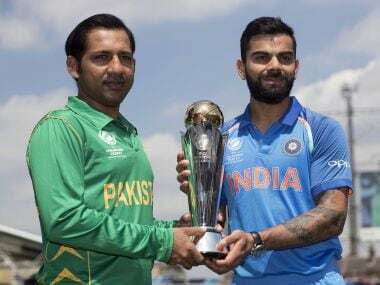 India vs Pakistan Final 2017: Has hatred between two nations made cricketing rivalry less enjoyable? Do Indians and Pakistanis enjoy cricket matches against each other? I am convinced that we don't like the experience any longer. This may have been the case once, but not in the last 25 years or so. The levels of hatred and dislike are high because of events, and kept at boiling point because of the media. Unlike football matches, cricket games go on for either a full day or five days, stretching the unpleasant or triumphant feeling for a long time. It is a good thing, then, that having more or less abandoned playing Tests against each other, the unpleasantness is limited to T20s and one day internationals, and that also on neutral ground. The first problem is that much of the cricket played by subcontinental teams is watched and appreciated from the nationalist perspective. When rival teams score boundaries or take wickets the stadium goes silent. This is against all teams, but the resentment felt by the spectator against the 'enemy' team in the case of an India-Pakistan match will be even higher. 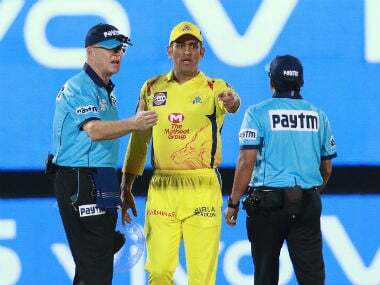 The other things that make sports enjoyable to watch from the stadium, the atmosphere of friendly rivalry and good-natured taunting, is entirely missing from the subcontinental contests. The armies that are lined up and firing at each other without ceasing, without much change on the ground and without much benefit, are replaced by civilians (also in uniforms, of team colours) screaming abuse. Gujaratis add another element to sports and that is betting. But even there, there is a capture of the event by nationalism. I used to be a very active punter once (not any longer). One afternoon my brother in law Sandip Ghose was visiting us and India was playing Sri Lanka. He wanted to bet on Lanka and I called my bookie to place the bet. After I had done so, we wondered how many people had bet against India. My guess was that many would have because Gujaratis separate their emotions from their business. I telephoned the bookie back and he said that of the 50 or so bets, Ghose's was the first one. Meaning even the heavily betting Gujaratis were going with nationalism and backing India with their cash. Lanka won the match, but my point is that with Pakistan that betting aspect will be even more lost and it will all be like war. 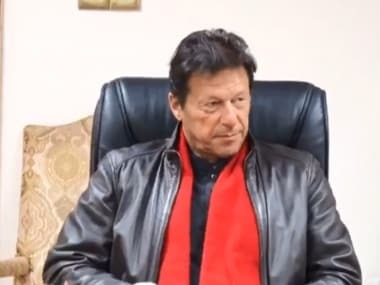 I can remember a time, say a little less than four decades ago, when Javed Miandad and Imran Khan were at their peak and Kapil Dev had just joined the Indian squad led by Sunil Gavaskar, when it was enjoyable watching these matches. One of the first times it started to become awkward was in a match India played against West Indies in Srinagar in October 1983. The crowd was hostile to India and the West Indies were stunned by the support they got from the spectators. Gavaskar described the experience in his book Runs 'N Ruins and he writes of people holding up posters of Imran Khan. For many Indians, including me, that was the first time we became aware of the situation in Kashmir as not being normal. My own interpretation of Gavaskar's experience was that it was more anti-India than anything else. 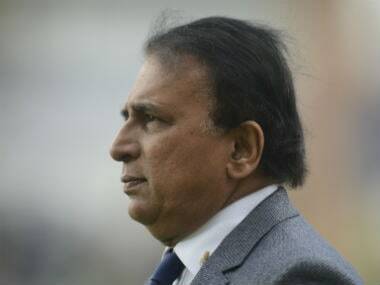 It was a taunt, and Gavaskar took it in the right fashion. He says he pointed to himself and then at the ground and then at the Imran poster and then to the sky. He wrote that this gesture brought great applause from the audience. 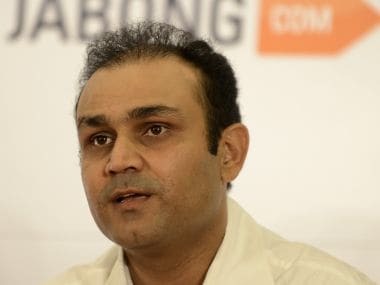 I was in the stadium at Multan in March 2004, when Virender Sehwag scored a triple century against a bowling attack that had Shoaib Akhtar and Mohammad Sami. I was with a Pakistani friend and at one point someone identified us as Indian and people came to us asking for autographs. This was in the famous friendship series, the initiative of Atal Bihari Vajpayee and Pervez Musharraf. These were leaders who had fought a large skirmish in Kargil (where about 500 died on each side). Vajpayee as prime minister and Musharraf as army chief. And they had weaponised their nuclear programmes aimed at each other. Also, we must remember that those were the years of maximum violence in Kashmir. 2001 had 20 times more fatalities in Jammu and Kashmir (4507 killed) as in 2016 (267 killed). And so if we believe that things have gotten worse in Kashmir it is not because of the facts on the ground, but because of politics and media. It is amazing to conceive of such a series today when there is less violence on the ground, but far more in the minds of the populations. 1India vs Pakistan Final 2017: Has hatred between two nations made cricketing rivalry less enjoyable?